SINCE its foundations were laid 160 years ago as an asylum for destitute children, the Prince of Wales Hospital has been a site of healing and humanity.On Thursday, the extraordinary endeavours of the institution and its people were celebrated at a gala dinner hosted at the Australian National Maritime Museum.Hundreds of medical alumni and current practitioners gathered to recognise the achievements of a handful of exceptional people, while raising money for the Prince of Wales Hospital Foundation. The inaugural Prince of Wales Hospital Hall of Fame was announced, inducting four incredible clinicians who have pioneered and revolutionised medical practices and research in Australia and worldwide.Posthumously inducted were legendary ophthalmologist Fred Hollows alongside heart disease researcher Professor Ralph Blacket and Vera Adderley, the Prince of Wales’ long-serving and beloved director of nursing. Leading neurologist Professor James Lance, 92, the fourth incredible m edical practitioner inducted into the hall of fame, was flanked by his wife, children and grandchildren when he received his honour. He spoke of the early hospital buildings he worked in during the 1950s. “I remember on one of my ward rounds, a cat fell through the roof,” he said. “I’m so proud that we now have developed this fairly comfortable hospital,” he told the delighted audience. “Dr Praveen Indraratna was the lucky recipient of the three-year $120,000 Reg Inglis Scholarship. “I’m very humbled to be the inaugural recipient, particularly in front of such an audience”. 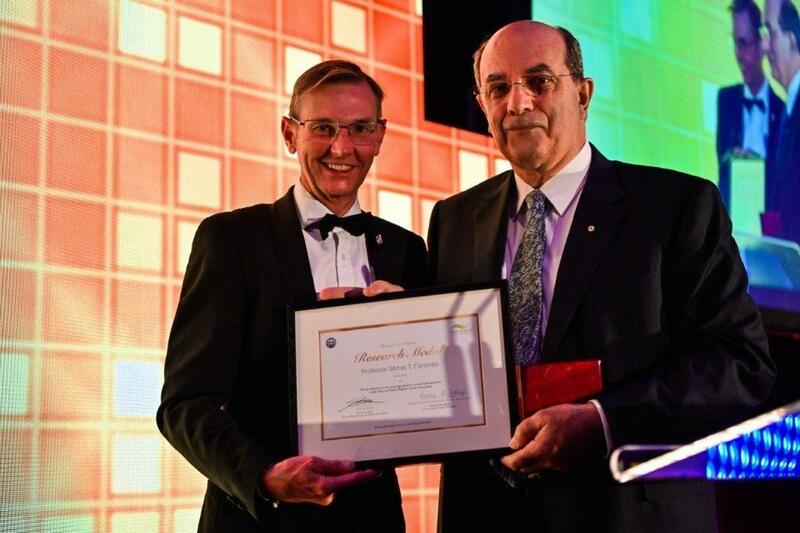 In addition, the Prince of Wales Hospital Research Medal, worth $50,000, was awarded to top ophthalmologist Professor Minas Coroneo.